Our organically crafted Neem Hydrosol is distilled from the leaves and seeds of the Azadirachta indica tree, that grows wild in India. Distilled in small batches to assure quality, Neem Hydrosol does not have the strong pungent odour associated with the Neem Oil. In the world of Ayurvedic medicine, Neem is a popular medicinal herb thatu2019s been part of traditional remedies that date back almost 5000 years. It is highly revered for its healing benefits and is known in ancient texts as arishtha: reliever of diseases . Neem has natural healing, cleansing and detoxifying properties, making it great for the irritated and acne prone skin and other skin conditions include eczema, redness, itchiness and general inflammation. 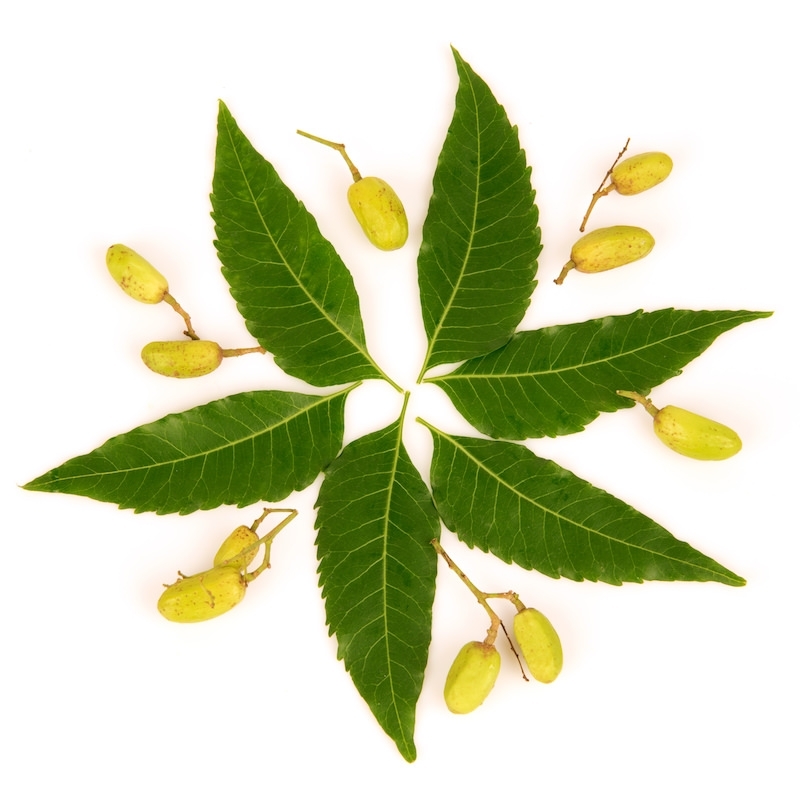 Neem's antibacterial properties help it to fight acne and prevent future blemishes. With its regenerative properties and immune-boosting compounds, Neem Hydrosol enables the skin to fight pathogens that are present below the skin surface. This keeps the skin smooth and fights wrinkles. Neem Hydrosol is also highly effective in dental hygiene due to its antibacterial and antiviral properties and can also be used as a natural mouthwash.